Product is the place where you upload all your unique product for sale. Means, you have a lot of product to sell. Use Product if you want to use the Unique Payment Form. Under the Product menu, there are 2 submenu. This will displayed all the product that you already add in the apps. 1. When you click on the product name, you will see the detail page of the product. 2. When you click on the “View” link under the Form URL, you will be directed to the actual Unique Payment Form. This is to add new product in the Dashboard. When you add product, it will create a Unique Payment form. 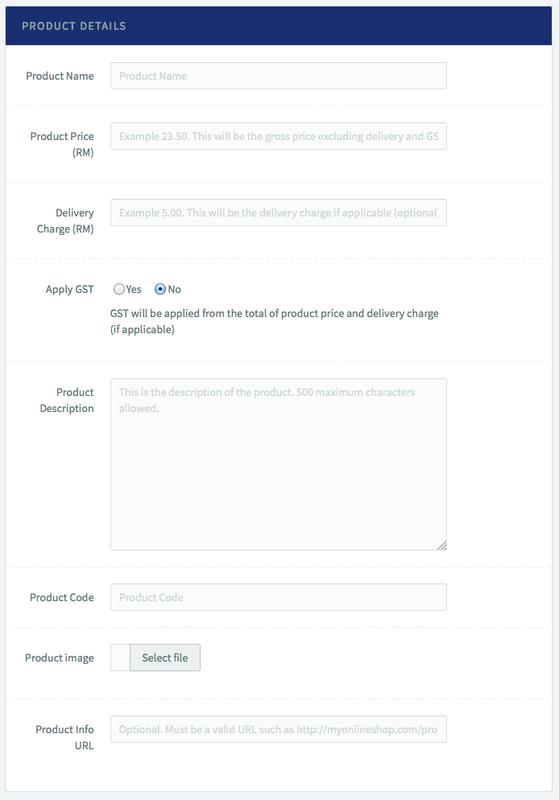 Fill in the related fill and click “Create Product” button. There are also some additional setting that you need to aware in case your have some special arrangement on the delivery of the product. 1. If you want to display delivery address in your payment form, click the first radio button. Your unique payment form will have address field. 2. If you do not want to display delivery address or self pickup, click the second radio button. Your unique payment form will have no address field. 3. If you want to give option to your customer either to receive time by postal or can choose to self pickup at your office, select the third radio button. You unique payment form will have a drop down menu for customer to select either self pickup or deliver to address. Below are the example screenshot of the payment form. If your item is related with sizing, you can set to display sizing option that you want to display in your payment product. Simply click on the check box that you want to display. If your preferred selection is not in the list below, simply log your request through the Feedback in the Dashboard. 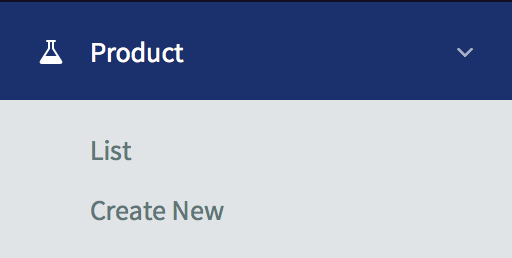 Don’t forget to click “Create Product” if you already confirm all the information added regarding your product. This will generate you unique payment form.